Below are notes from the coordinators of the Carol Awards (a contest for published authors) and the Genesis Contest (a contest for unpublished writers). If you have questions about these contests, please contact the appropriate contest coordinator below. 1. 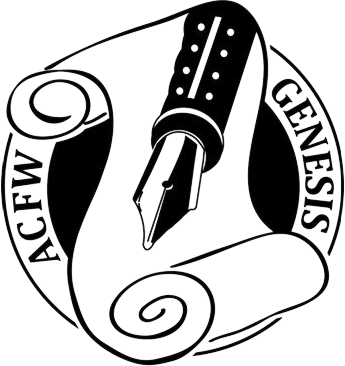 Study the criteria, guidelines, and formatting instructions for the Genesis Contest http://www.acfw.com/genesis. 2. Devote yourself to getting your manuscript and synopsis in the best form possible. 3. Conquer any hesitation. The experience of submitting to the Genesis Contest is itself an education, in addition to value feedback from contest judges committed to helping you advance in your career as a Christian fiction author. Dozens of former Genesis finalists and winners view the Genesis experience as a vital part of their journey to publication. Don’t miss out on this opportunity to grow and to discover if your story resonates with readers. Put your hand in the Hand of the Man Who stilled the water. When Lyrics Come to Life – And when you kiss your little baby, you’ve kissed the face of God. Most of us have heard the beloved song, popularized by multiple music artists worldwide. This song is one of my favorites every Christmas for the thought provoking lyrics. It means more to me each passing year as I watch my three sons grow older. This song challenges me to put myself in Mary’s place as I recall holding my newborn sons and gazing lovingly into their precious faces. The songwriter asked a great question: did she know? I believe she knew she was part of God’s bigger plan, but I don’t believe she fully grasped the opportunity she would have. That’s the beauty of it. When the angel Gabriel appeared to deliver God’s message to Mary, she accepted on faith saying, “. . . be it unto me according to thy word.” She didn’t know what the future held, she only knew God was asking her to serve him, and she willingly obeyed. To think: her submission led to our salvation. Though she had no way of knowing how much pain the task would cost her, how her peers would ridicule her, and how her son would be rejected and murdered, she was willing to be used by God. Whenever I consider this, it raises a question in me. Would I have been so obedient? I hope so. Gabriel called her blessed among women and said, “. . . thou hast found favour with God.” What a testimony she had! I could never be good enough for this task on my best day. Though Jesus, alone, is the only human worthy of worship, Mary is a great example of how we women should live our lives. I love reading Luke’s account of Jesus’ birth: Luke 2:1-20. Verse 19 states that “. . . Mary kept all these things, and pondered them in her heart.” I bet her mind was reeling over the events that had just unfolded! Mary did you know that your baby boy would someday walk on water? This child that you delivered, will soon deliver you. Mary did you know that your baby boy would give sight to a blind man? Mary did you know that your baby boy would calm a storm with his hand? And when you kiss your little baby, you’ve kissed the face of God. This sleeping child you’re holding is the great I am. ﻿This song sure puts things in a new perspective for me. Though it’s easy to get wrapped up in the seasonal festivities, shopping sales, and overall materialism of Christmas– let’s not forget the true reason for the season! Are You Experiencing a Personal Earthquake in Your Life? They came on suddenly. Sometimes, they were accompanied by a bang. Always, it felt like somebody picked up my life and shook it like a snow globe. Unfortunately, I’m not talking about the recent outbreak of earthquakes near my hometown of Edmond, Oklahoma. Over one hundred earthquakes have rumbled through central Oklahoma this fall, the largest hitting 3.9 on the Richter scale. The shaking and the bangs are unsettling, but they’re nothing compared to the tremors in my personal life. I wish I could tell you about it, but the details don’t really matter. I’m sure you’re thinking of the rattling and shaking you’ve endured in your own lives, those shocking phone calls in the middle of the night, unexpected illnesses, sudden deaths. They come whether we’re prepared for them or not. Sort of like earthquakes. Californians’ homes and buildings are built to withstand the sudden shifting of the earth’s crust. Even if geologists can’t predict an earthquake as well as an intuitive canine, their structures can stand up to much of the trembling. Makes me wonder—how is such a foundation built in the life of a believer? We all know the stock answers. Read your bible. Pray. Go to church. And many of us do these things regularly, and yet our lives still feel more like a house of cards than an earthquake-resistant building. So what is that magic bullet that will prepare us for life’s earthquakes? I wish I had a definitive answer. Living through these recent trials, I can only point to one thing that’s kept me going. Of course I read my bible daily, I have prayer time every morning, and I attend church every week. But those things alone will not keep the walls standing on the structure that is my life. I know—I’ve crumbled before. After one such season of life-crumbing earthquakes, I participated in a bible study on faith. I don’t think it was the study so much as the way God spoke to me through it. I realized that the biggest problem in my Christian walk—and therefore, in my life—was my lack of faith. Oh sure, I had trusted God for my salvation years earlier. And I prayed for my kids, my husband, my marriage, and everything else I knew I was supposed to pray for. But I still felt like I was in control. There’s nothing like an earthquake to remind us we’re not in control. During that study, I decided to take God at his word. To trust his promises, to even remind him of his promises, and to believe he would do what he’d said he would do. Seems simple enough, right? But after three-and-a-half years, I’ve developed a few habits. I’d like to share the most important one. I do this ten, fifty, even a hundred times a day. Does God protect us from everything? Of course not—it’s through trials we learn to trust in him. But knowing I’ve laid it at his feet gives me peace. When the bad things happen, I know they have been sifted through his hands. This habit has become so ingrained in my life, I found myself doing it during the 2013 World Series. “Lord, let Papi hit one out of the park.” I smiled when I realized what I was doing, and I smiled more broadly when David Ortiz hit a homerun. So if you see me whispering under my breath in the oddest moments, don’t call the men with the straitjackets just yet. Instead, realize a little earthquake has just rumbled through my life, bringing so many possible aftershocks with it. And I’m simply whispering the name of the one who holds the earth—and my life—in his hands. Jesus. Guest post written by author, Robin Patchen.